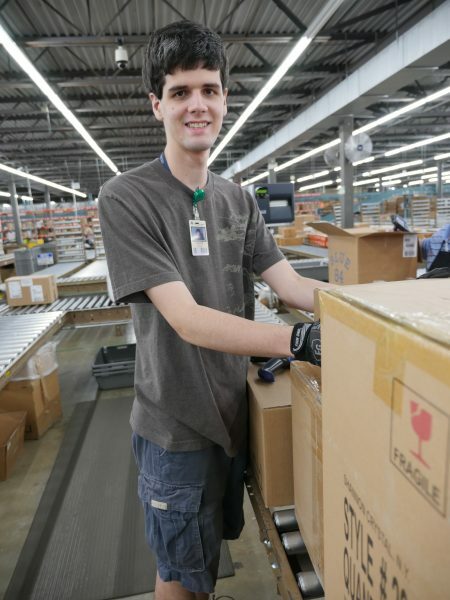 Take a walk through the Dillard’s Distribution Center and mention Devon’s name. No matter who chat with, you will be met with an ear-to-ear grin. Fellow Dillard’s employees consider Devon a “blessing,” and there is nothing they would do for him. He is part of the team. Devon spends his days in the distribution center quality checking items before they make their way to the retail store shelves for Dillard’s customers to peruse. But his favorite responsibility includes getting to ship the inventory he checked to a particular store.